By popular demand (i.e. the kids shouted loud enough when we were making the menu for this week), tonight’s curry is the dhall that started all of this off (recipe at the other end of this link). So instead, I thought I’d ramble on about fish and chips. Visiting family in Wales, I found that many of their chippies are also Chinese restaurants (a trend that’s spread to at least one chippie I know of in Aberdeen). Nothing better than sweet and sour king prawns with chips! I also found that they’d not discovered the trend sweeping Scotland, that of deep-frying anything that sat still long enough. I had to explain the principle behind the deep-fried Mars bar to one bemused lass on the England/Wales border. Now that I’m in Shetland I can say that I’ve tasted Fish and Chip Heaven. Almost. The fish is so fresh, the batter so crisp, it’s just an absolute delight. The Fort Cafe in Lerwick is our destination of choice and I’d heartily recommend it to anyone visiting. But they’re missing one thing. Beef dripping. When I visit my folks in Ripon, we’ll have fish and chips at least once during the visit. And yes, the fish isn’t as fresh, the portions slightly smaller, but the taste more than make up for it. You cannot comprehend just how tasty fish and chips are when fried in beef dripping. You know from the smell of the hot fat when you’re walking up to the shop just how mouth-wateringly tasty it’s going to be. So I’m torn. On the one hand, the fish up here is the finest I’ve ever tasted, and when the potatoes are just right (you know there are certain times of the year when the spuds taste better) it’s a truly wonderful plate of food. On the other hand, if they’d just cook in beef dripping I’d be there almost every night. 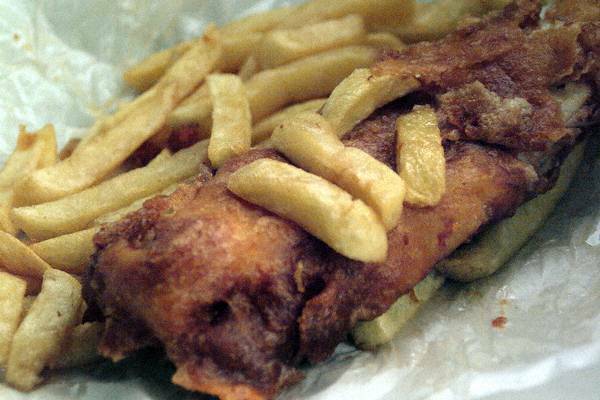 Do you have a favourite chip shop near you? Found a good one whilst on holiday? What about abroad – can the French do fish and chips? Belgians? Go wild for fish and chips in the comments! One of the great tragedies of my life is that I’m allergic to fish – it makes my throat swell up. But I’m totally there on the chips and curry sauce. Keep the recipes coming! This brought back fond memories of fish & chips served out of a truck at Upper Heyford near Bicester when I was a kid. It probably wasn’t the best in gourmet terms, but we loved it. Here in Idaho, it’s mostly grilled salmon, the simpler, the better. We get good salmon up here. The salmon recipe on site here is not my best. What on earth took you from Bicester to Idaho? 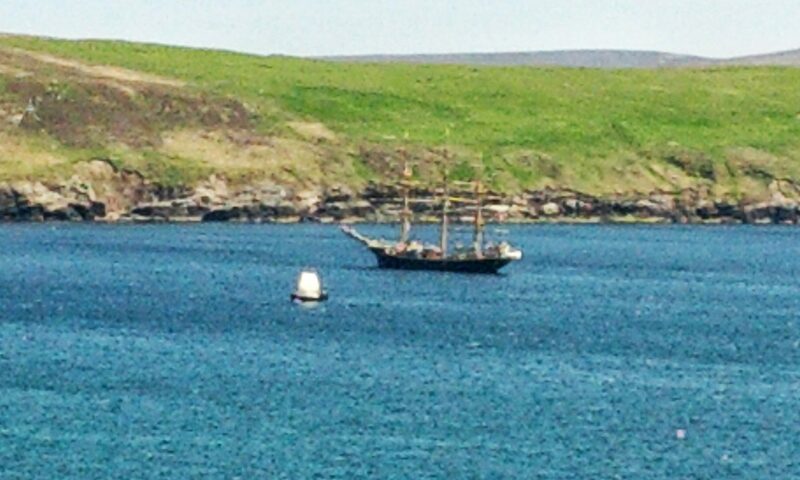 That’s a stranger leap than mine from Ashford (Kent, not Middlesex) to Lerwick!